Karen Naumann, APR, is a seasoned practitioner with more than 20 years of communication experience. 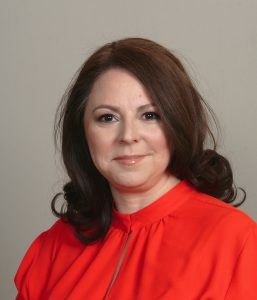 Prior to joining Susan Davis International as Vice President, she led communication for the Government of Israel’s Ministry of Foreign Affairs at the Consulate General of Israel to the Southwest United States. On behalf of Israel’s Ministry of Foreign Affairs, she spearheaded strategic communication efforts, specifically in building mutually beneficial relationships with the media, organizations, and communities in a six-state region, as well as managed crisis communication and digital diplomacy. She has also owned her own successful Texas-based public affairs firm, Magnolia Sky Communication. Her professional work has received honors from the Houston Press Club, as well as the Public Relations Society of America (PRSA), which is the nation’s largest professional organization serving the communications community. Naumann is accredited in public relations (APR) through PRSA. By earning her APR, she has demonstrated her commitment to excellence and the highest ethical standards. She is active in Public Relations Society of America-NCC, Washington Networking Group, LSU Alumni – D.C. Chapter, Louisiana State Society and Washington Women in Public Relations. She is a sought-after communication presenter who has presented at PRSA, George Mason University, League of Women Voters, Jewish Federation of Greater Houston, and the Independent Electrical Contractors Association. Additionally, she has served as an adjunct professor of communication at the University of Maryland. The New Orleans native graduated from Louisiana State University (LSU) with a Bachelor of Arts degree in Communication. Later, she received a Master’s degree in Communication at the University of Houston (UH).